Independent Presence, an exhibition bringing the mystery, nature and narrative themes of six independent artists, delivers the power of presence through work ranging from pinhole cameras and darkroom alchemy to digital capture. 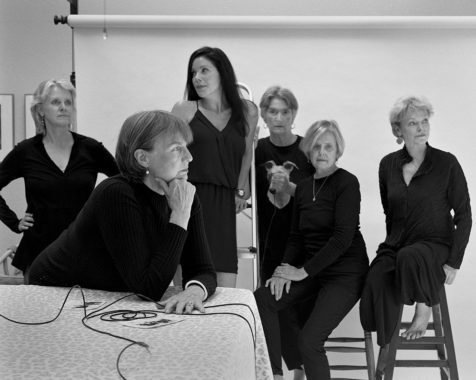 Each artist, with her own style and vision, shares a connection, linked together through Salon Jane. These innovative artists escape the deep-rooted West Coast tradition of straight photography to transcend the ordinary by creating work that captures their essence. Through their relationship in the safe and supportive environment of Salon Jane, each artist seeks to expand her creativity, experiment with artistic ideas, and receive honest feedback to push the boundaries of their craft so they can continue to innovate in an already over-saturated discipline. 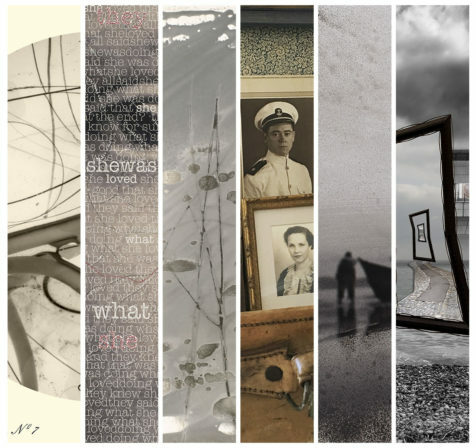 An Artist Talk precedes the opening reception giving us the opportunity to hear from these accomplished artists as they discuss their work and background, creative processes, and the connection that brings them together through Salon Jane. You can expect an engaging discussion offering insights to their individual work and the synergy generated through their commitment to supporting each other’s creative growth. The avant-garde rock ‘n roll diva, Nina Hagen, said it most clearly: “I know who I am and I am willing to declare myself.” To declare yourself you must first find your place in the world – a physical place, a technical place, a psychological spiritual emotional place – a place from which you can do the work you are meant to do. Without such a place it is difficult to speak authentically on the issues you mean to address. The artists in this exhibition have found their place by the whole variety of means that artists use to decide who they are, but particularly by extracting themselves from the embrace of two photographic traditions that have become oppressive (West Coast landscape photography and conceptual photography) thereby freeing their intuitions to guide them towards the work they truly need to do. The resulting work belongs to no school of photography but is rather more sui generis – it generates itself out of intuition, out of perception, out of spiritual emotional and psychological relationships with the subject matter, and out of an intimate but lighthearted relationship with photography’s notorious technical side, all to the effect that these artists know who they are and are willing to declare themselves. West Coast Focus – E6 – Pushing the Wet Darkroom from Steve Zmak on Vimeo. Martha Casanave has been a working, exhibiting, and award-winning photographer and educator for 40 years. She currently teaches photography at Monterey Peninsula College and Cabrillo College. Casanave has published four books of her work. Her latest monograph, Trajectories, A Half Century of Portraits (Image Continuum Press) was released in 2013. Casanave’s photographs are included in many major collections, including the J. Paul Getty Museum, the Art Institute of Chicago, the Boston Museum of Fine Arts, the Bibliotheque Nationale, and the Museum of the History of Photography, St. Petersburg, Russia. Susan Hyde Greene’s images relay stories from impressions of experiences, thoughts and memories about the world around her. She slices and mends photographs into new images. Greene received her BFA in textiles, photography and art history from the University of Hawaii, Manoa and her MFA from the University of Utah. She is represented by Smith Andersen North, Green Chalk Contemporary, and SFMOMA Artists Gallery, and is represented in various public and private collections, including Adobe Systems. She won first place in the Center for Photographic Art’s 2013 Juried Exhibition and received a Marin Arts Council Individual Artists Grant. Jane Olin has worked as a photographer in the Monterey Bay area for over twenty-five years, and has studied with Ruth Bernhard, John Sexton, and Joyce Tenneson, among others. She loves to experiment with focus, exposure, and printing techniques, both in-camera and in the darkroom. She has exhibited throughout the U. S. and Europe, and was featured in a recent two-person show at the Center for Photographic Art in Carmel, CA. Her work is in the permanent collection of the Crocker Art Museum, Sacramento, Monterey Museum of Art, Monterey, Triton Museum of Art, Santa Clara, and Museum of Photographic Arts, San Diego. Anna Rheim graduated from Stanford University with a BA in History in 1966. She studied black and white photography and mixed media at Monterey Peninsula College with Henry Gilpin, Roger Fremier, and Don Anderson, and color photography and printing at University of California Santa Cruz with Jack Fulton. Anna has taken private classes with many noted photographers including David Bayles, Ruth Bernhard, Martha Casanave, Lisl Dennis, Tom Millea, and Ted Orland. Robin V. Robinson is a fifth generation California central coast native. She received degrees in Engineering and Music from Stanford University and Cal Poly, San Luis Obispo. Robinson studied photography with west coast photography mentors and at City College of San Francisco and Foothill College. She has received top awards in international photographic competitions, and her work is in the permanent collection of the Monterey Museum of Art, the Bibliotheque Nationale de France, and the Mariners’ Museum in Virginia. Robinson is a Fine Print artist at the Center for Photographic Art in Carmel, CA, a Cal Poly College of Liberal Arts supporter, and a board member of the Monterey Friends of C.G. Jung. Robin Ward discovered her love of photography at the University of North Carolina, Charlotte where she received a BA in English. She continued her photography studies by participating in various workshops, including Brooks Institute of Photography and the Center for Photographic Art where she served as a Trustee from 2010-2016. She has received several international awards, including International Photography Awards and Black & White Spider Awards and exhibited her work in numerous galleries and museums throughout the US.